Families can celebrate spring at the Bahama Beach Club with bonfires, fireworks and snorkeling in 80-degree waters during the resort’s Warm Winter Savings promotion. Great Abaco Island, Bahamas — This will get your kids excited about spring break: How about spending a vacation snorkeling alongside colorful tropical fish or diving through the Caribbean’s majestic underwater caves? Top off the day with a bonfire and a Bahamas-style beach BBQ and your kids might say this is the best spring break they have ever had. The luxurious Bahama Beach Club is inviting families to celebrate their spring breaks with the club’s special Warm Winter Savings that includes stay three nights and get the fourth night complimentary. Rates for a two-bedroom, two-bath villa start at $300 and rates for a four-bedroom, four-bath villa start at $700. Prices include daily housekeeping services, cable TV, air conditioning, and unlimited in-room long distance calling to the United States and Canada, and high-speed wireless Internet. Bahama Beach Club also offers all-inclusive meal plans. Parents can unwind with a couples massage done in the privacy of their own villa or on the beach while the kids enjoy swimming in the resort’s pools. Parents can even organize a “family day” where they and the kids rent a boat and go deep-sea fishing getting up close and personal with big-game fish like tarpon, wahoo, sailfish and blue marlin. Adventurous-spirited families will love the area’s diving, which is considered some of the best in the world off the Abaco Great Barrier Reef that includes miles of coral reefs and underwater caverns. There is also snorkeling nearby in the 80-degree waters of the Caribbean where the visibility is crystalline and coral reefs go on for miles, and rainbow-colored parrot fish can be spotted. 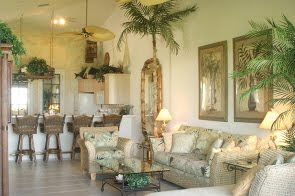 The Bahama Beach Club is an ideal location for families. Its beachfront local gives parents and kids easy proximity to National Geographic’s “Top 10 Beaches in the World.” Guests at the club can also enjoy access to Treasure Cay’s 150-slip marina, championship 18-hole golf course, tennis courts, and the Tipsy Seagull Bar, open nightly. The club has several family-style activities such as fireworks, bonfires and island golf cart races, and has cars, golf carts and bicycles available for rental. Families can also rent their own boat or take a scheduled ferry boat to New Plymouth on Green Turtle Cay or to Hopetown on Elbow Cay. Defined by British Colonial elegance, families stay in spacious beachfront villas individually decorated with colorful fabrics and rattan furnishings along with grand master suites, private balconies, fully-equipped kitchens, living rooms and ocean views. Families also get the convenience, services and amenities of a luxury resort where the Bahama Beach Club’s staff caters to all guests’ needs. The resort’s concierge can pre-stock kitchens with groceries or arrange for a chef to prepare a gourmet meal in your villa, including a Bahamas-style breakfast. • Close proximity to the famous Treasure Cay Resort, with a championship 18-hole golf course, tennis courts, 150-slip marina and the Tipsy Seagull Bar open every night for dancing and cocktails. 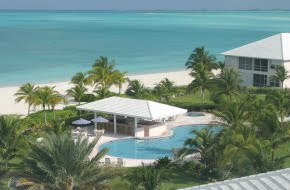 The Bahama Beach Club is located on charming Great Abaco Island, which is part of the Abacos, a chain of 100 or so tropical isles known for their soft sands, jewel-toned waters and a laid-back, friendly atmosphere. The resort is only an hour’s flight from Miami and is conveniently located close to two international airports: seven miles from the Treasure Cay Airport (TCB) and some 21 miles from the Marsh Harbour Airport (MHH). For more information about the Bahama Beach Club, in the Bahamas call 242-365-8500 or from U.S and Canada call toll free (800) 284-0382.